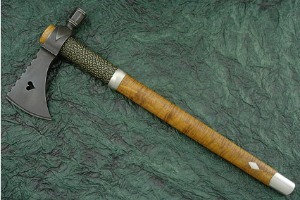 Description: Lonnie's Octagon Tomahawk Hammer is very traditional in style. 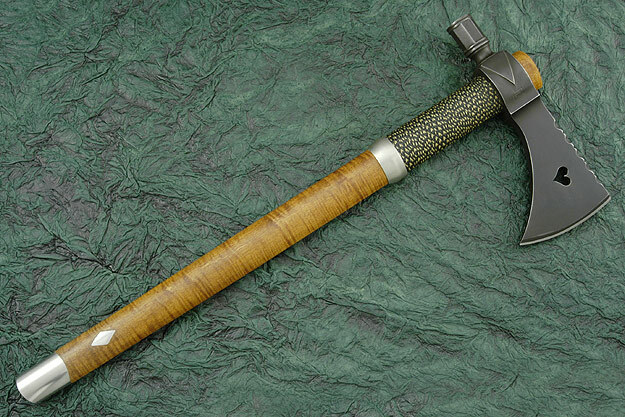 The synthetic sinew gives an excellent grip for using the hammer. The pewter accents were poured directly into wood and then satin finished. At the base of the haft, Lonnie has formed a chevron. 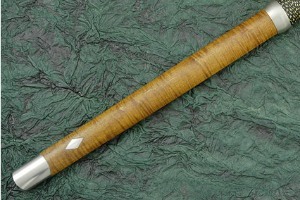 The curly maple handle has a nice mixture of light and dark grains and a warm background tone. 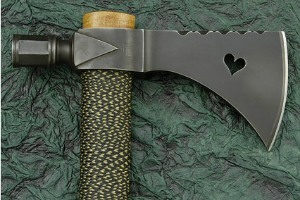 The head is 52100 carbon steel with a patina finish (my favorite of the carbon steels for edge retention). 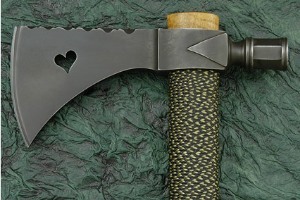 Sculpted accents on the head and a heart cutout finish this piece to perfection. 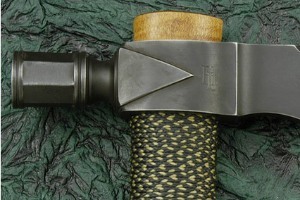 The head length is 8 1/2" and the cutting edge is 3 3/4". The haft measures 20 3/4". This piece is very sturdy and well weighted for chopping as well as hammering.